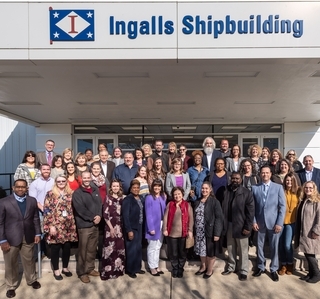 PASCAGOULA, Miss., Jan. 25, 2019 (GLOBE NEWSWIRE) -- Huntington Ingalls Industries’ (NYSE:HII) Ingalls Shipbuilding division has awarded $99,783 in grants to 31 STEM-related projects and initiatives from schools and educational organizations in Mississippi and Alabama. This is the 11th year for the program. Ingalls has awarded more than $1 million for science, technology, engineering and mathematics projects during that period.